With an objective to fulfill the demands of our clients, we are engaged in manufacturing a wide range of Multi Pocket Tool Pouch. 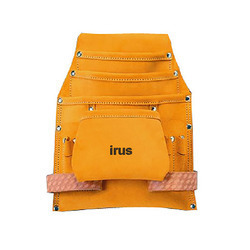 The product is also known by its Italian name as Brosa carpentiere cuoio 2 tasche. Backed by huge industry experience and market understanding, we are involved in offering a wide array of Tool Pouch to our valued patrons. 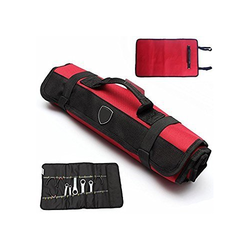 - Five pockets Suede Handyman's tool pouch. Adjustable nylon belt with quick release plastic buckle. - Double stitched used star and washer rivet. Reinforced for added strengths. Double stitched pockets reinforced with rivets. Adjustable nylon belt. - 2 Large Main Pockets. - 6 Small Tool Pockets. - 1 Steel Tape Holder. - 2 Medium Nail Pockets. We are offering Black Tool Bags to our clients. We are offering Tool bag to our client and our product is made of good quality. We manufractore all kinds of toll kit bags.